I’m a low maintenance person when it comes to skin care. I rarely use cosmetics and skin care products so when I received this gift certificates from hubby I got so excited and immediately book an appointment. Each GC is worth more than ₱3,000 so I guess I would be getting more or extensive facial skin care than the services offered by the less expensive clinics. By the way, the GCs are not actually free but will be deducted from hubby’s retirement pay. Pending on the availability of a weekend slot, N, K, and I hope to visit the clinic before the end of the month or early next month just before N’s graduation day. 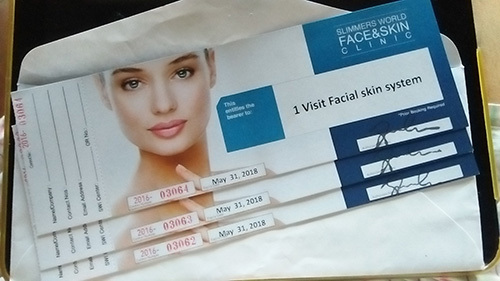 This entry was posted in Skin care and tagged facial skin care, slimmers gift certificate, slimmers world face and skin clinic on July 21, 2017 by Yami. CHILDREN are prone to get the dengue virus at home than when they are in school. 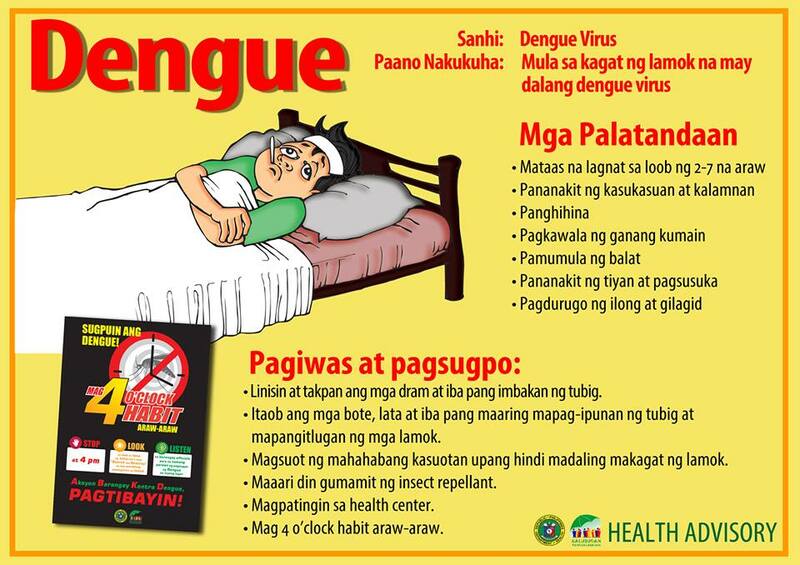 Citing studies done abroad, Dr. Eric Tayag, Assistant Secretary of the Department of Health, said there is a higher risk of contracting dengue at home than in school. He said that in the past, experts are pointing to schools as possible sources of dengue infection. But studies done abroad showed that houses are more at risk of harboring dengue-carrying mosquitoes. Despite this information, Tayag said schools are not spared from cleaning their premises as there are potential breeding sites sitting around like water container and flower vases. Tayag said schools should always be alerted about their responsibility in detecting signs and symptoms of dengue among students. The school responsibility is to inform children, teach them what to look for so they can rid of possible mosquito breeding sites at home. School personnel should be able to check students who may have fever or not feeling well so parents will be advised and if needed see a doctor immediately. The health official recommends use of bed net, mosquito coil, and spray to protect oneself against mosquito bite. He said the bottom line in dengue prevention is to remind the public to eliminate the breeding sites of mosquitoes and never ignore symptoms such as fever especially in children. Dengue-carrying mosquitoes breed in clear and stagnant water. This entry was posted in Diseases, Health Advisory and tagged dengue alert, dengue alert in school, dengue breeding site at home, dengue fever, dengue protection on July 3, 2017 by Yami.